What makes a good solar system? Buying a Solar Systems is like most other large purchases you might make for your household, in the sense that you generally get what you pay for. We would recommend buying high quality solar panels that are also suited to your exact needs. Cheaper systems may cut the initial expenditure, but low-quality systems can cause electrocution and electrical fires and are less likely to “go the distance”. When shopping around for solar systems and components, we’d recommend using a reputable supplier with a proven track record – Buyer beware: make sure you aren’t buying cheap imitation products from an online store or rogue installer with limited experience. It’s not unheard of for smaller companies to sell off “fakes” which have been imported from China which won’t work as well, and won’t last as long. The number of panels that need to be bought depends on the rating of the solar power system that is required, your budget and the space that is available for installation. For example, a solar panel of rating 1.5 kW would occupy 12 square metres of area on your roof. Your current energy bill is also a useful guide to the type of system you might need for your family home or business. An average-sized family living in a three-bedroom Australian household typically uses 12 kWh to 18kWh of energy per day. Depending on factors such as state of residence in Australia and the amount of direct sunlight that is received in a day, on average, a 1kW power system would help to generate anywhere between 4-5 kWh per day. The Australian government also offers solar rebates via the Renewable Energy Certificates Scheme, based on every MWh of energy expected to be generated over the life of the power system. These certificates can be traded in the certificate market for cash or surrendered to the installer to for up-front rebates on equipment. 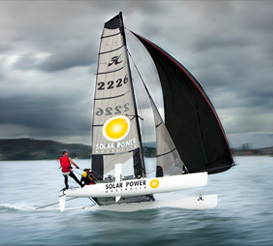 For more information about Solar Rebates, or to discuss your exact requirements, please contact us. 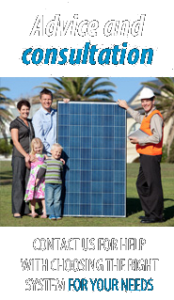 With over a decade of experience, Solar Power Australia has built an extensive knowledgebase of industry leading products and has developed relationships with Global Leaders to bring their customers the best quality products at the most competitive prices.